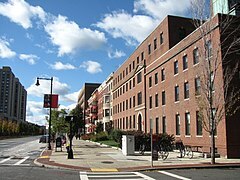 La Universitato de Bostono aŭ en angla Boston University (plej komune aludita kiel BU aŭ pli simple konata kiel Boston U.) estas privata enketada universitato situanta en Bostono, Masaĉuseco, Usono. La universitato estas nesekteca, sed estis historie aligita al la Unuiĝinta Metodisma Eklezio. 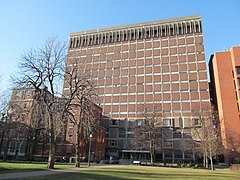 La universitato havas pli ol 3,800 membroj kaj 33,000 studentoj, kaj estas unu el plej grandaj dungantoj de Bostono. Ĝi proponas bakalaŭrecojn, magistrecojns, kaj doktorecojn, kaj gradojn pri medicino, dentokuracado, ekonomiko, kaj juro pere de dekok altlernejoj kaj fakultatoj en du urbaj kampusoj. La ĉefa kampuso estas situanta laŭlonge de la Rivero Charles en la Bostonaj kvartaloj Fenway-Kenmore kaj Allston, dum la [[Bostonuniversitata Medicina Kampuso estas en Bostona South End. BU funkciigas ankaŭ 75 programojn de eksterlanda studado en pli ol 33 urboj en ĉirkaŭ 20 landoj kaj havas internajn oportunojn en dek diverdaj landoj (inklude Usonon). 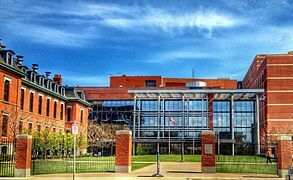 Inter la bostonaj universitatanoj estas sep Nobel-premiitoj kiaj Martin Luther King (PhD '55) kaj Elie Wiesel, 35 Pulitzer-premiitoj, naŭ ricevintoj de Oskar-premioj, Emmy kaj Tony. BU-anoj estis ankaŭ ricevintoj de stipendioj de MacArthur, Sloan kaj Guggenheim, krom de la Usona Akademio de Artoj kaj Sciencoj kaj de la Usona Nacia Akademio de Sciencoj. ↑ The College of Fine Arts Introduction. Boston University. Alirita 2007-06-30. “Boston University is coeducational and nonsectarian.”. ↑ Boston University Names University Professor Herbert Mason United Methodist Scholar/Teacher of the Year. 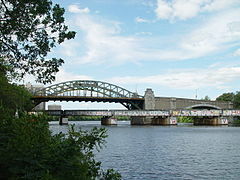 Boston University (2001). Alirita 20a de oktobro 2011. 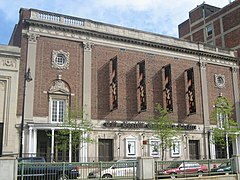 “Boston University has been historically affiliated with the United Methodist Church since 1839 when the Newbury Biblical Institute, the first Methodist seminary in the United States was established in Newbury, Vermont.”. ↑ Cambridge University Student Union International 2003–2004. The Hermit Kingdom Press. 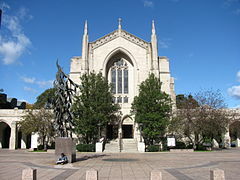 “Emory University, an academic institution of higher education that is under the auspices of the United Methodist Church (Duke University, Boston University, Northwestern University are among other elite universities belonging to the United Methodist Church).”. ↑ The Boston Economy 2008 Holding Strong. Boston Redevelopment Authority – Research Division (Septembro 2008). Alirita 2009-11-22. “Largest Private Employers in Boston, April, 2006 (With 1,000+ employees, listed alphabetically)”. KILGORE, Kathleen. (1991) Transformations: A History of Boston University. Boston: Boston University Press. ISBN 0-87270-070-4. SALTZMAN, Nancy. (1985) Buildings and Builders: An Architectural History of Boston University. Boston: Boston University Press. ISBN 0-87270-056-9. Ĉi tiu paĝo estis lastafoje redaktita je 09:20, 5 nov. 2016.